Fidel Castro died on Friday, and many Cubans are celebrating what they hope will be the beginning of a new era of freedom in their nation. 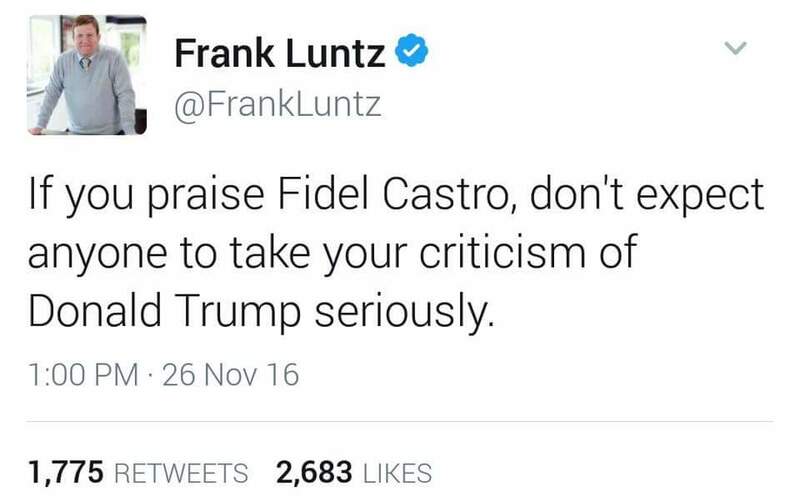 Meanwhile, the Left has been celebrating the life of this murderous dictator, and mourning his passing. There's been some pithy commentary about this sick adoration of a very bad human being. 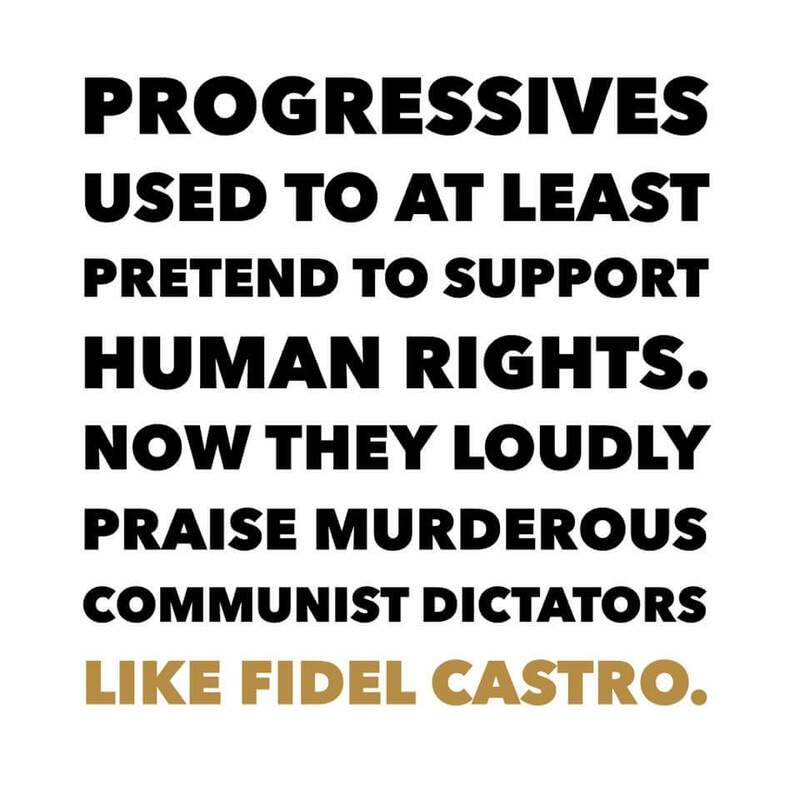 Why the Left will bend over backwards to justify the actions of failed communist regimes is beyond me. My bias has always been in favor of human freedom, and both communism and socialism have only ever curtailed freedom, sometimes viciously and with tremendous bloodshed. There is something wrong with any system that has to put up walls to keep its citizens in the country. I do not understand how that's okay with anyone who supports freedom. Brian Williams even made this idiotic statement: “It’s still one of those nations where you see donkey carts alongside cars, trucks and buses in downtown Havana because that’s exactly what they’d rather have for transportation." Uh, yeah, Brian. They wouldn't rather be transporting their goods in a new Toyota Tundra. They like the impoverished conditions caused by a dictator stealing the fruits of their labor to make himself rich. So those donkey carts are okay! Let's think about his logic for a moment. Donkey carts are so awesome some people would rather have them than automobiles. This is a trend we see throughout the U.S., too. Oh, wait. No we don't. Because cars are actually better, more comfortable and more efficient for transporting goods. Brian Williams evidently thinks Cubans are so dumb that they prefer donkey carts to trucks. If anyone on the right said anything like that, she'd be called a racist. So, Brian Williams, congratulations: you're a racist. To the rest of the left, stop celebrating murderers. Communist regimes and ideas caused the deaths of over 100 million fellow human beings last century. Unless you really like murder, that's a failed ideology. After a lot of protesting and an online movement, supporters of California seceding from the U.S. have begun the political process by filing a proposed ballot measure. This first one would strip the California Constitution of language that makes California an integral part of the United States of America. A referendum on actual secession would follow in time. As an aside, this picture makes me laugh. The fellow has had no political science education. California will never secede and I'll explain why, but first let's talk about the selfishness of this move. 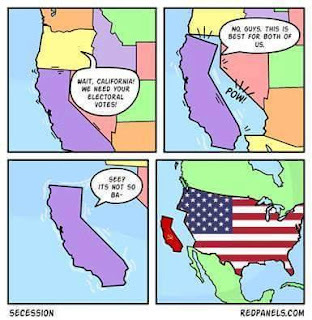 If California were able to leave the union, the U.S. would become a one party country. No Democrat would hold the Presidency again in the near future. While some people would cheer this development, one party political states aren't healthy. The California Left doesn't care what happens to the rest of the liberals in the country, though. They only care about themselves. This is the real ethos of socialists. They claim all they do is for the greater good, but it really comes down to self-indulgence at the expense of others, so it's no shock that California liberals don't care what happens to their brothers and sisters in the rest of the nation. While much of the US would be fine with CA splitting off, it won't happen for several reasons. 1. We aren't capable of financial independence. California has a massive economy, the 6th largest in the world, and we also have a massive spending problem. Our unfunded pension liability will at some point require a federal bail out. The political elite in California know this and that we rely heavily on federal funding because we spend far more than we take in. While the U.S. also deficit spends, California has done it for years with the expectation that at some point in the future the rest of the union would help pay for our fiscal mismanagement. So, the political elite won't let the secession process go very far. California voters often approve some fairly far left propositions, but they often balk at really radical things. Nearly half the State is conservative, and many of the liberals are moderate, not extremists. For examples, look at this past election's results. We extended income tax on the wealthy and repealed the bilingual education ban, but we did not repeal the death penalty or limit drug prices. We also made a fast lane for death penalty cases. Yes, the State has a majority of liberals, but many of them aren't ready to get really radical. 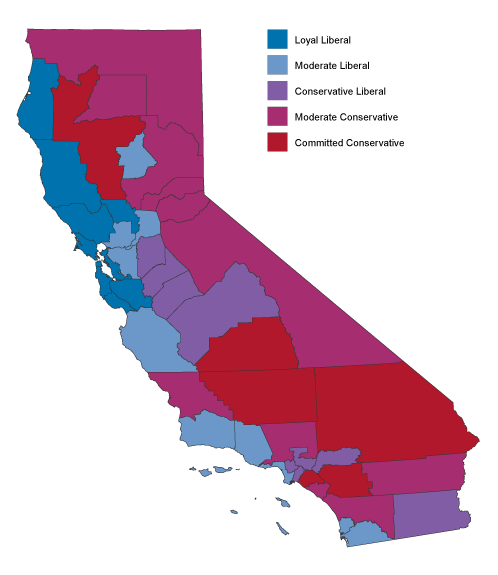 Geographically speaking, most of California is conservative. Parts of California already want to split off and form their own state, the State of Jefferson, dedicated to more libertarian and conservative ideas. If California liberals managed a secession, these counties would simply secede from California and return to the Union as smaller states. Much of the liberal territory of California relies on water from other parts of the US and from conservative areas of California. Secession would mean no more free water, and the potential for a complete shut off of water from the foreign nations that would surround the new Liberal Coastline Polity. Farmers in the central region would rejoice and grow crops happily while San Francisco and Los Angeles shrunk in size or instituted draconian water rationing schemes and penalties, which are nothing new in California. California produces a sizable majority of many American fruits, vegetables, and nuts: 99 percent of artichokes, 99 percent of walnuts, 97 percent of kiwis, 97 percent of plums, 95 percent of celery, 95 percent of garlic, 89 percent of cauliflower, 71 percent of spinach, and 69 percent of carrots (and the list goes on and on). Some of this is due to climate and soil. No other state, or even a combination of states, can match California’s output per acre. The economy and agriculture make California too valuable to give up. Secession from the U.S. was tried in 1861, and it didn't go so well for the secessionists. A modern attempt would be no different. Much of the military is Republican/conservative, though it's not the monolith many people think it is. If California tried to secede, the federal government would assume control of the California national guard and send in the rest of the active duty military. Remember how much of California is conservative or libertarian? We'd assist the military in quashing the liberal secession. Oh, by the way, we're the ones who practice with firearms and are completely sick of being marginalized by the Left in this state. The proposition system has left us with a clear understanding of what John Adams and later Alexis de Tocqueville meant by the tyranny of the majority. 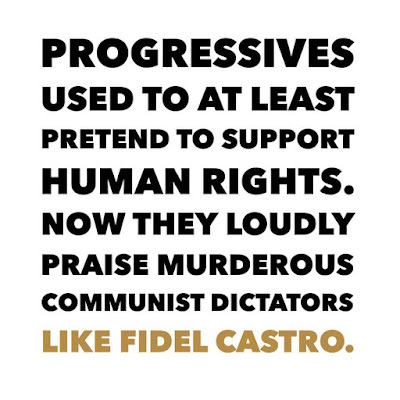 We'd fight to get back the rights the Left has been stripping from us for years. Military action succeeds best with intelligence and support from locals. We've seen your yard signs, your facebook and twitter posts. We'll defend to the death your right to say what you like, but if you get violent, we'll be happy to direct the military your way, loan them some ammo (we still have a bit, despite prop 63) and even assist as needed. 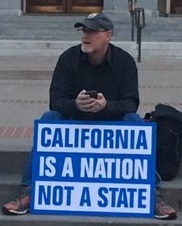 In conclusion, the California secessionist is a group of self-centered, whiny liberals who didn't get their way in this election. As a fellow who never gets his way in any election, I sympathize to an extent, but also think they're being a bunch of unrealistic drama queens. #Calexit will never happen. Trying it would be unwise and potentially very costly for all liberals. Three suspected criminals are in police custody after an armed Georgia grandmother foiled their attempt to rob her home on Friday. Elaine Stiehl, 78, was settling in to take an afternoon nap when she heard a noise inside her Coweta County home. She grabbed and loaded her gun and went to investigate. Once she opened her bedroom door, she saw two men standing in her hallway. The men, joined by a getaway driver, were in the process of stealing fur coats and power tools from Stiehl’s home when she interrupted them. After seeing Stiehl’s gun, the men took off for the door. “I don’t know why they selected that house, but they picked the wrong one,” Colonel James Yarbrough of the Coweta County Sheriff’s Office told Fox5. The robbers did not get far, though. Police were able to stop their car a short time later. “Neighbors were able to give us a description of the vehicle. We pulled it over and took the subjects into custody,” Yarbrough said. This is a nightmare scenario for an officer of the law. While helping with a normal traffic stop, an officer was nearly hit by a passing motorist. Believing the near miss to be intentional, he got in his cruiser and pursued. When the suspect finally stopped, he charged the officer before the officer was able to get clear of his vehicle. The suspect knocked the officer down, and began beating him as the officer struggled to defend himself and maintain control of his weapon. While several passersby stopped to watch, but none helped until a CCW holder stopped at the scene. “The passerby, who had a Concealed Weapons License, exited his vehicle and instructed the suspect to stop beating the deputy…after noncompliance from the suspect, the passerby shot the suspect three times,” sources said. This is how it's supposed to work. Though he didn't seek it, the CCW holder ended up with a free gun from a local gun shop for his heroics. "You don't like a particular policy or a particular president? Then argue for your position. Go out there and win an election. Push to change it. But don't break it. Don't break what our predecessors spent over two centuries building. That's not being faithful to what this country's about." It's simple, straightforward and accurate. Oh, wait. He said that to those who weren't happy with his presidency. Here's the source. The statements still apply today. Some people are wondering why we have an electoral college at all. It's because we're not a direct democracy, but rather a republic (now often called a representative democracy). Republics do a better job of protecting people from violations of rights that the majority might happily vote for. To prevent that, we have representatives and a court system tasked with protecting those rights. I've gotten tired of a post I've seen several times now. 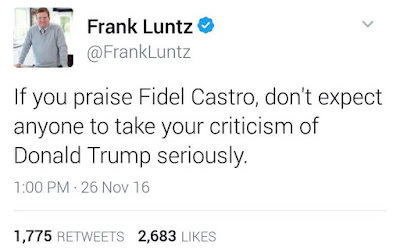 Now, bear in mind, I don't like President-Elect Trump. I didn't vote for him. And, this is pure, fabricated horse crap. The post is Day 1 in Trump's America, and it features an obvious hoax as its big, shocking picture. Liberals have been using this slogan to say all Trump supporters are horrible, white males, like this Muslim immigrant woman. The really important part is that this slogan originated with the left, who have then propagated it. And suddenly, shockingly, it has appeared on a college campus on a night when anti-Trump protesters were out in force and behaving badly. 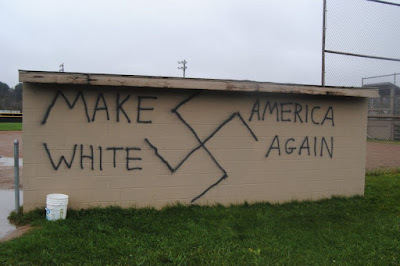 Liberals, who have preached tolerance and love for so long couldn't possibly have written such a thing, could they? Woops. Guess they could. 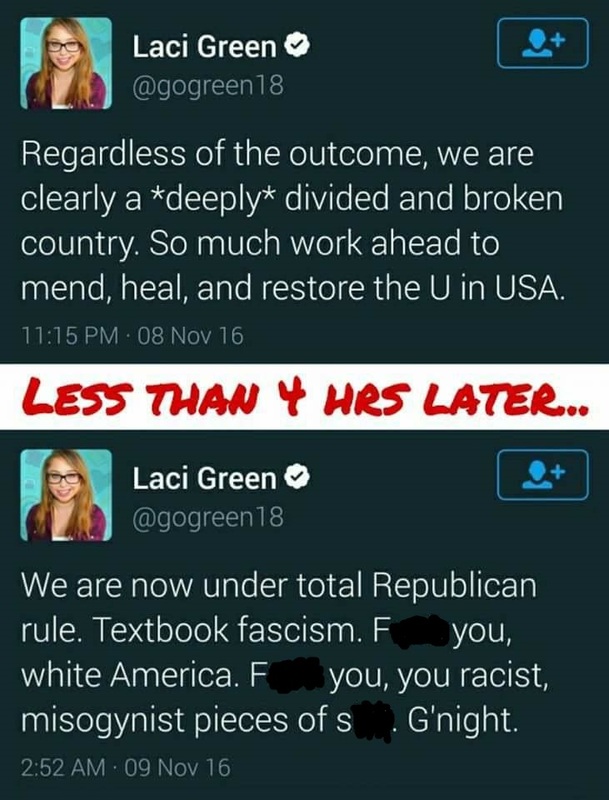 Would sweet, innocent-looking Laci have written such a thing? Yep, I confirmed it in her twitter feed. 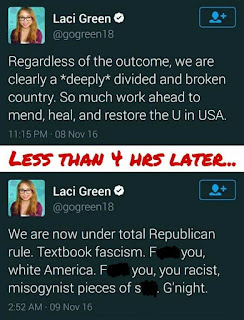 As of today, she hasn't bothered to take it down even though she's rapidly becoming poster child for the intolerant, hypocritical left. There are countries where only one party is allowed to win. China and Iran are examples. 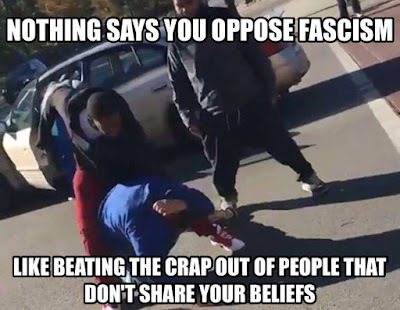 Only one ideology is permitted there. In a republic, or representative democracy if you prefer, we accept the outcome of elections even if we don't like them. Otherwise, we're saying it's okay to take freedom away from half of our fellow Americans. Complaining is fine. I do that, too. Protesting the outcome of a free and fair election, property destruction and divisive hoaxes aren't. If you have to fabricate your evidence, your movement isn't worth the participation trophies it's built on. As President Obama so clearly put it, "You don't like a particular policy or a particular president? Then argue for your position. Go out there and win an election. Push to change it. But don't break it. Don't break what our predecessors spent over two centuries building. That's not being faithful to what this country's about." 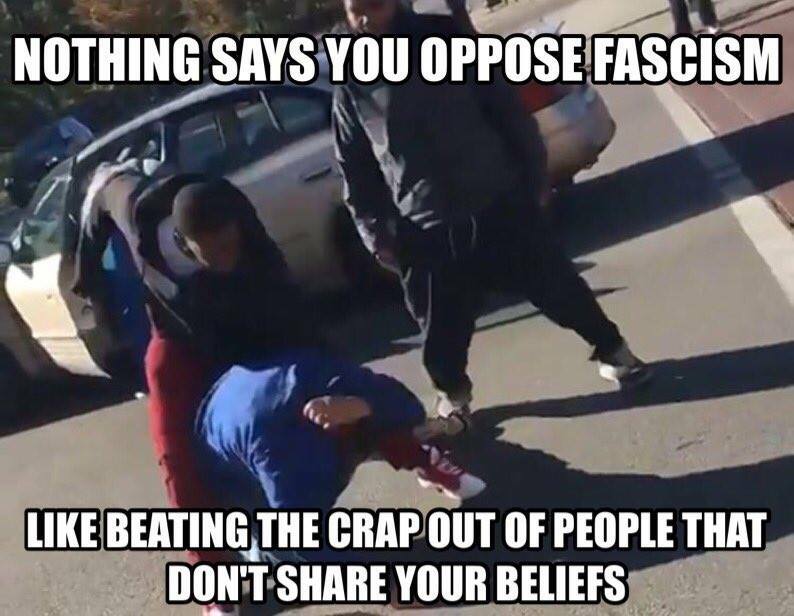 Seriously, liberals. The man is one of you. Go home. Realize that the other half of America felt the same as you do now when Obama won. You can't win every election, but if you ask nicely I'm sure someone will give you a trophy for trying really hard.